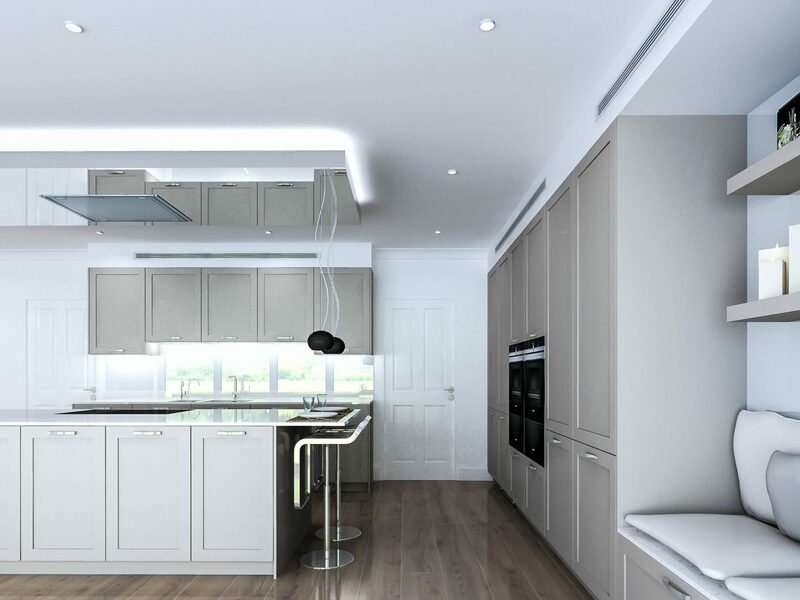 Could this be one of the finest luxury kitchens St Albans has to offer? 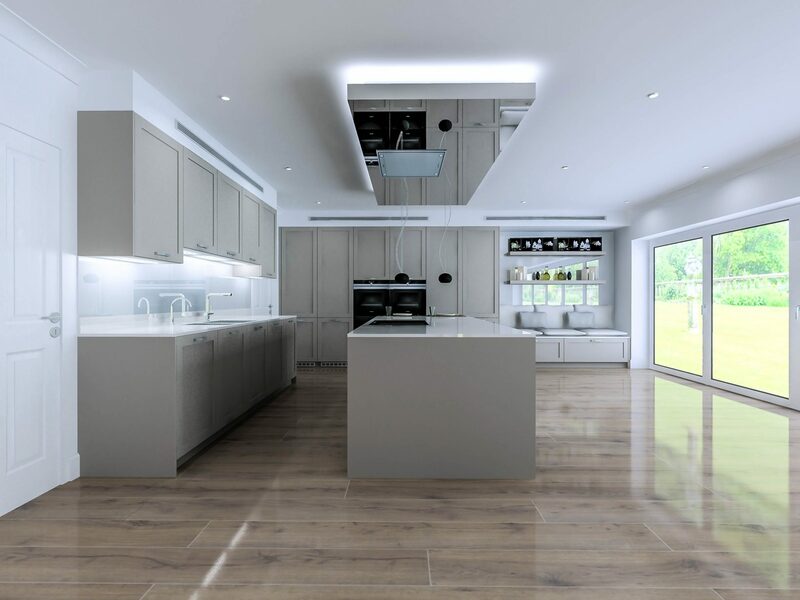 This beautiful contemporary kitchen was designed and fitted for one of our customers in Marshals Drive, St Albans, Hertfordshire. In what is becoming a Silke tradition, we made optimal use of all available natural lighting, allowing for a clean and welcoming atmosphere. 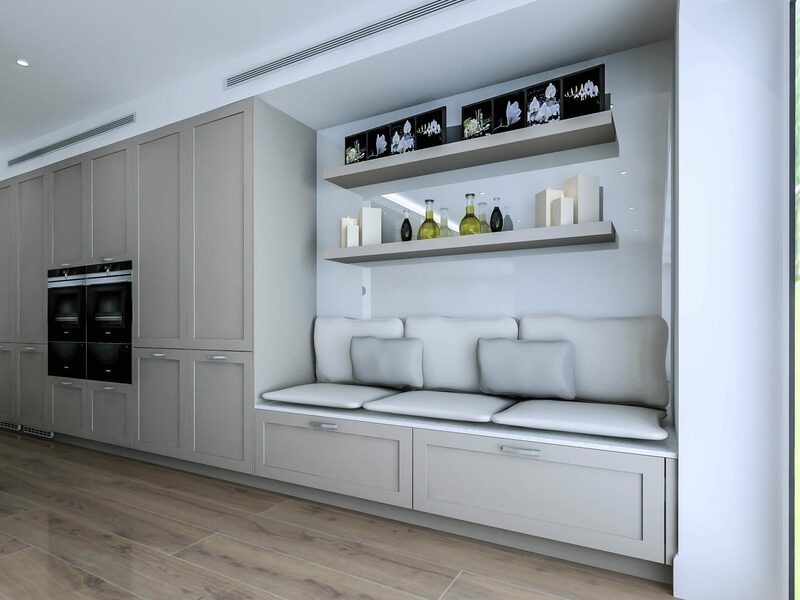 For contrast we went for Leicht’s exquisite Sand Grey coloured doors in lacquer finish, and matched this with worktops from Silestone; Blanco Maple to be precise. To finish this look we feature one of our trademark ceiling boxes, complete with uplighting and mirrored surface. 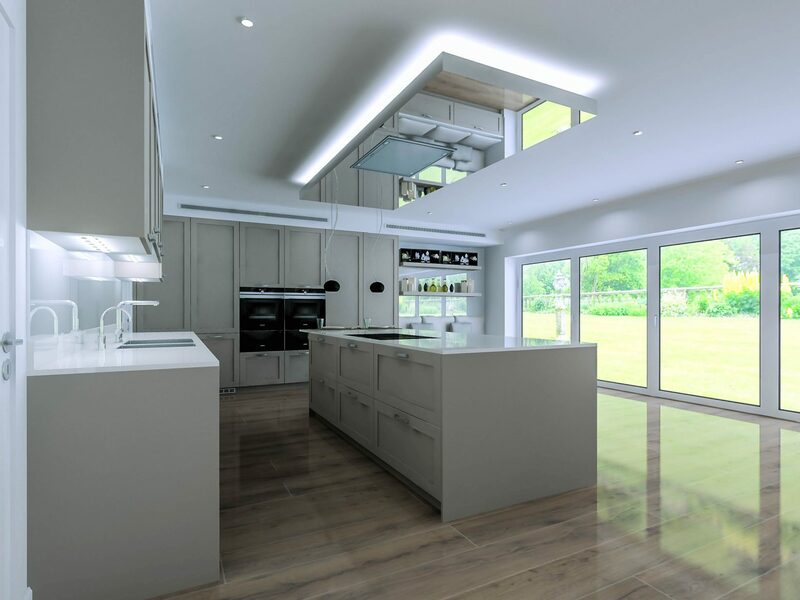 This ensures the room looks and feels as large as possible, whilst also directing all sunlight downwards toward the island. 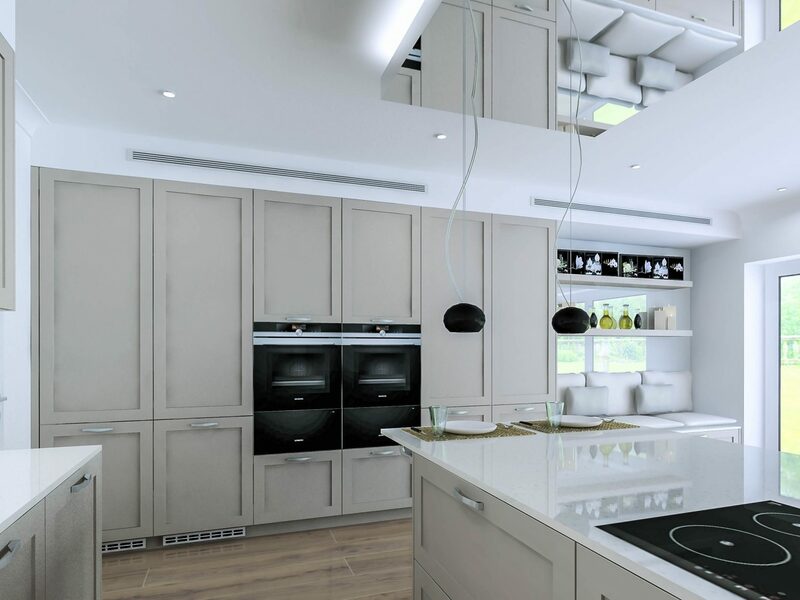 What better ovens to install than Siemens studioLine, and the same goes for the hob. 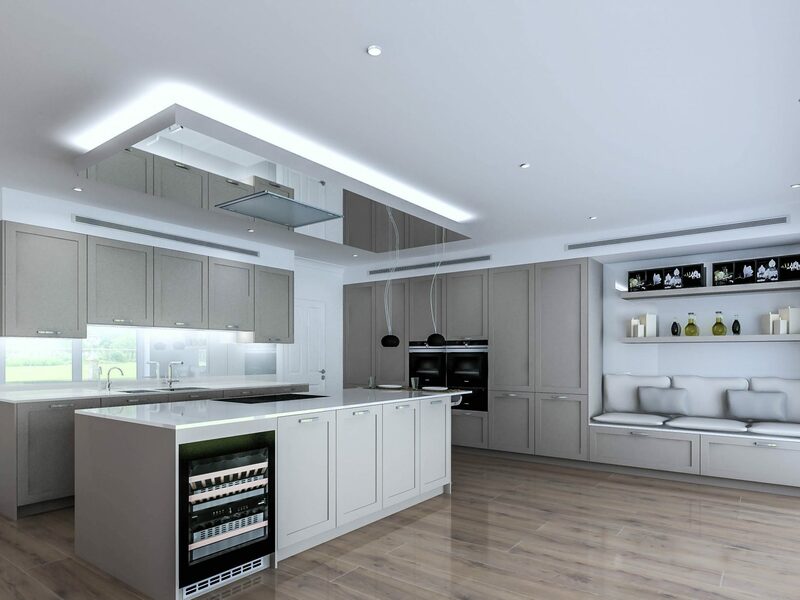 For entertainment our customer opted for a Liebherr wine cooler, and a Gutmann ceiling extractor ensures a smoke free environment at all times. Of course what Kitchen could be complete without the finest sinks and taps, in this case we opted for Blanco’s range.